Born in Holyoke, Massachusetts in 1943, the US photographer William Wegman has been working with his Weimaraner dogs, Man Ray and Fay Ray, for years. He stages the animals like models in surreal settings. 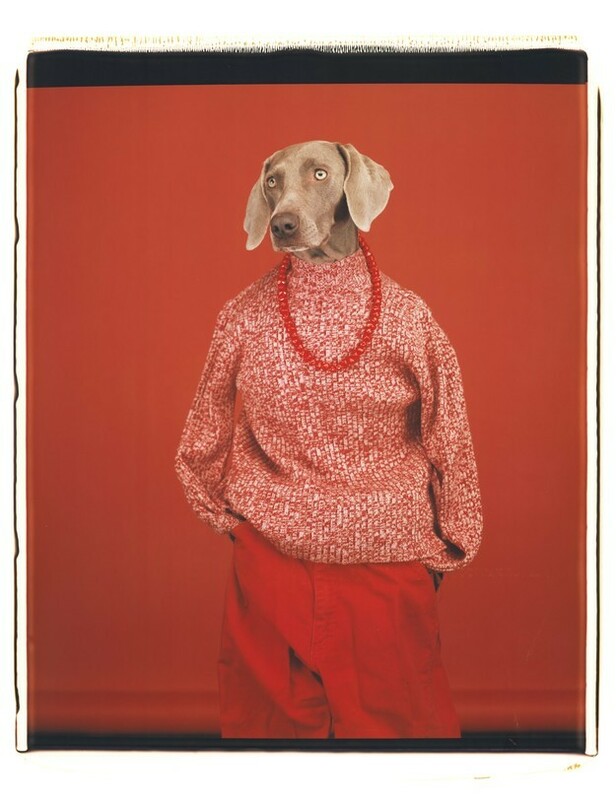 The William Wegman – Being Human exhibition presents 100 pieces from his whole oeuvre, which have been selected in close collaboration with the artist. Over half of the pictures are on public display for the first time. Wegman’s world may focus primarily on his dogs, but the images also reflect his interest in the human condition and sensitivities. Furthermore, his choice of sets and props reveal his fascination with cubism, abstract expressionism, constructivism and conceptualism.